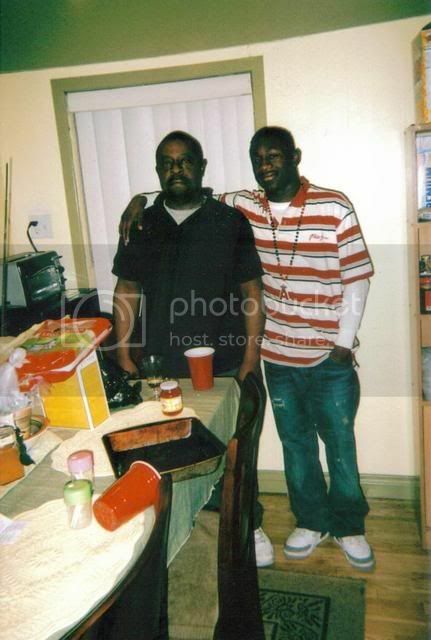 An Illegal Alien gang member with an extensive violent back ground, shot and killed Jamiel Shaw 1 day afer her was release from the LA jail. He was not deported, just released because of Mayor Antonio Villaraigosa's sanctuary Policy. Haha what rock have you been sleeping under? a Black boy was killed. Turns out he played football and his mom was serving in Iraq. Turns out the killer was Mexican. People cry racism on the part of Mexicans, race war, ethnic cleansing of Blacks in Los Angeles by Latinos. Turns out the killer was also an ILLEGAL Mexican. The anti-illegal/immigrant crowd's mouthes start watering and they jump all over it. Its too good to be true..a propagandists dream. 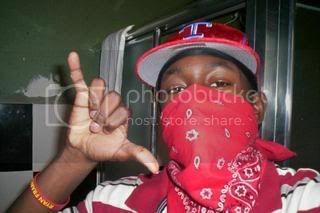 Turns out Jamiel shaw liked to play dress up as a Bloods gang member, rival of the gang the illegal killer belonged too. Evidence turns up that the killing was likely more gang related than race of related. Anti-immigrant crowd quiets down a little, throw a few half-hearted feeble arguments of "well, he shouldn't have been here in the first place." Its rarely mentioned again. Case has yet to go to trial. Care to share this "evidence?" I missed class that day. Pedro Espinoza remarking that he had killed a Blood, Jamiel's ties to a gang that was a rival of Pedro's gang, Jamiel wearing a red belt with the number 20 on it in Rollin 20s Bloods neighborhood, several photos of Jamiel throwing gang signs, writing 18 Killer(Pedro's gang) on his myspace. Keep up. Hmmm...if that's the case it looks like a bad crash at the intersection of Gangs and Illegal Immigration. And every other murder in LA is a crash at the intersection of Gangs and American Citizenship. It's a busy street. Link? I notice this was created in Photobucket. Quite a credible source. BTW, pardon me for not keeping up. I tend to have difficulty following BS. Yeah, you got me. Maybe its an impostor. And maybe they just shop at the same store and wear the same wristbands. Is it difficult to follow that? All I see are two guys. I assume it's Jamiel and his dad. I also see food on the table. I'm not familiar with gangs; is the food gang food? What in this picture indicates gang activity? I'll read your response tomorrow. I'm in Maryland, and it 12:55 am. Pleasant dreams. I just thought I'd do you a favor since you didn't seem to believe the first picture was Jamiel. Since photobucket is such a "credible source ". But yes, the first picture DOES indicate gang activity. Despite what his family tried to claim, he isn't doing the "hang loose" sign in that picture. Bloods don't surf. But no, gangs don't have families or eat food. They live in graffiti covered bombed out buildings and eat crack washed down with O.E.